Display your beauty with simplicity & grace in this arresting black net floor length gown. 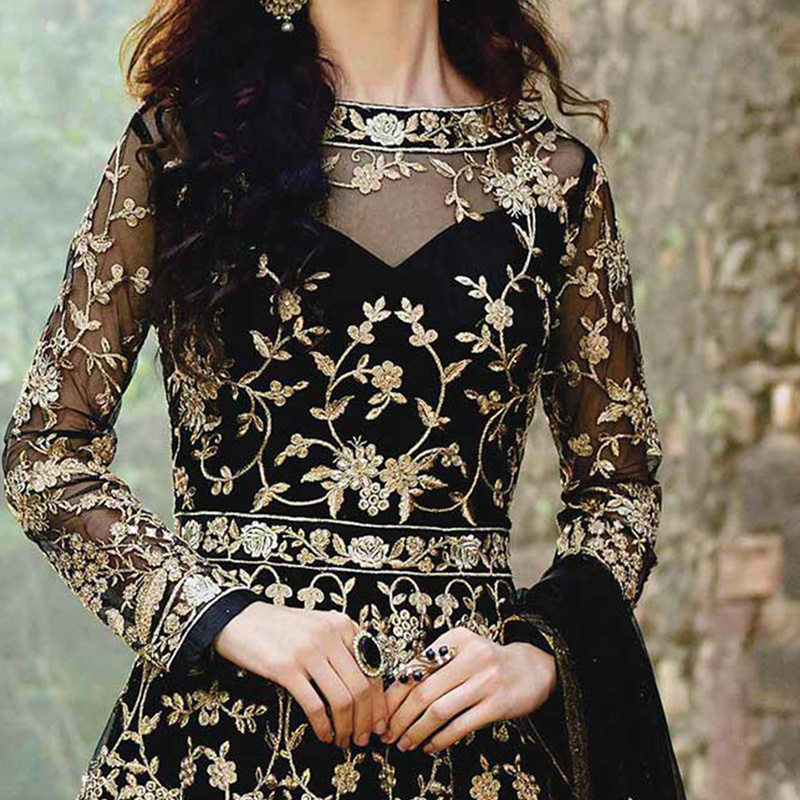 This beautiful designer gown is prettified with embroidered which makes it appear classy. 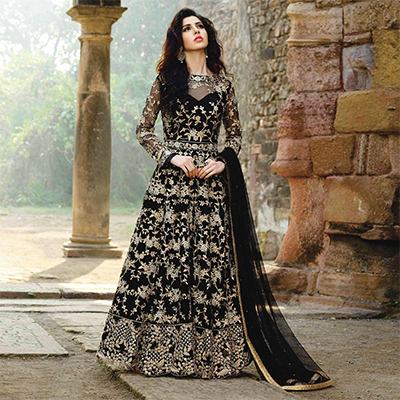 Available with georgette dupatta. Women can buy this gown to wear for their upcoming functions, receptions, weddings, enagements, parties and occasions. Team it with ethnic accessories to make your looks more beautiful. This attractive gown would surely attract you showers of compliments when you wear it. Grab this dress before someone else gets it and wear it. Length Chest upto 34 - 42 inches and length upto 60 inches.